This event has created quite a stir in its young life already (effectively since 2004), with some notable scalps having been taken in the Stade de France. Audi factory drivers Mattias Ekström and Tom Kristensen won the "Nations Cup” in the competition last year and will again form "Team Scandinavia”. National teams with two drivers each from Scotland, England, Finland, France (twice), Germany, Scandinavia, Spain and the US will compete against Audi’s two DTM stars. 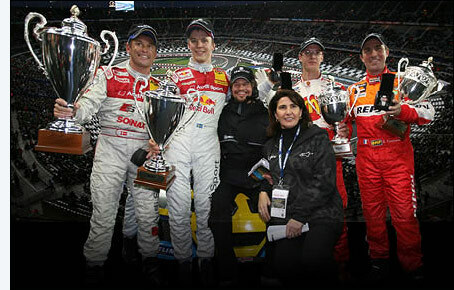 Among the opponents will Sébastien Loeb, Andy Priaulx and Bernd Schneider. The "Nations Cup” starts on Saturday at 4 p.m.. The "Race of Champions”, which sees the drivers fight for individual glory with identical cars, is scheduled for 7 p.m. Eurosport will cover the event live from Paris from 7 p.m. to 9 p.m. local time.